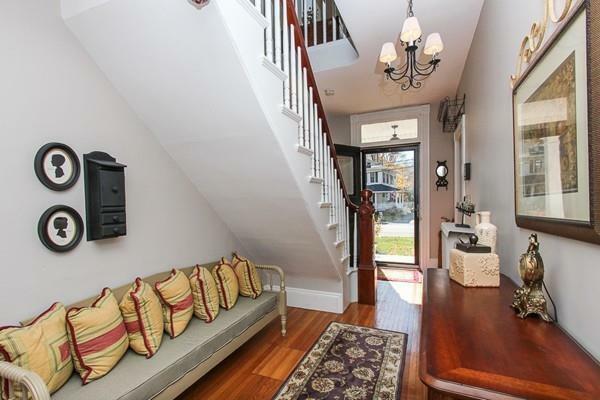 Circa 1891 Colonial perfectly located in the center of town. Beautiful condition with features that effortlessly blend older details with contemporary updates. 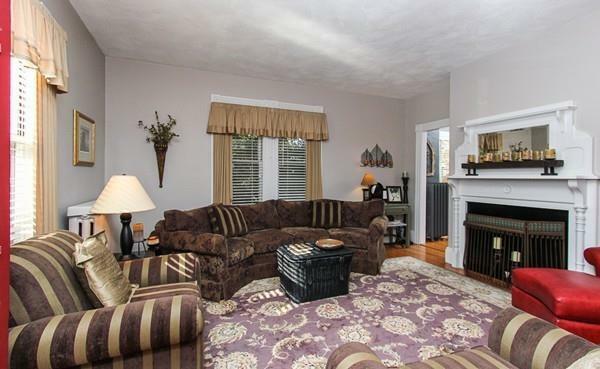 Discover fabulous high ceilings, outstanding trim work, impressive hardwood & pine floors. Facing the sun, warm and inviting in all seasons. 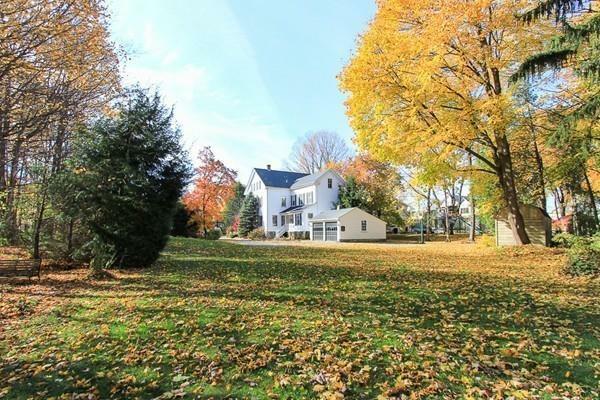 Hard to believe in this location there are 1.2 acres, fabulous private yard set far enough from town to enjoy privacy. Classic layout with elegant front stairway and open 2nd floor hall. Back stairway off tiled rear entrance. Family room with gas burning stove located off the eat-in kitchen. Kitchen is outfitted with granite counters and signature appliances. Finished bonus space on 3rd floor offers additional living, work or storage space. Great for guests, studio, media or office. Covered porches, patio, 2-car garage, and shed. Whether on the North Shore for the beaches, trails, the arts, antiquing, or schools this property is at the center of it all. Near commuter rail and restaurants. Listing courtesy of John Farrell of Coldwell Banker Residential Brokerage - Beverly. 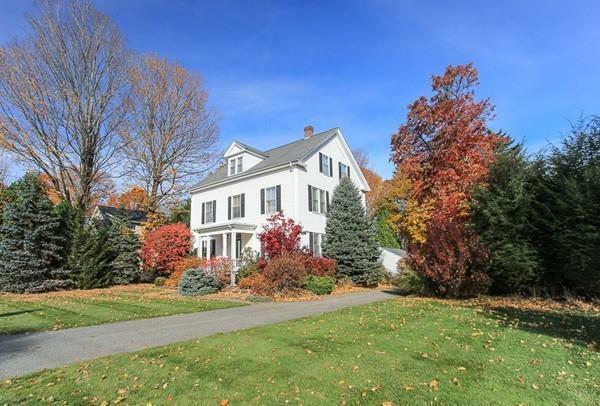 Listing provided courtesy of John Farrell of Coldwell Banker Residential Brokerage - Beverly.